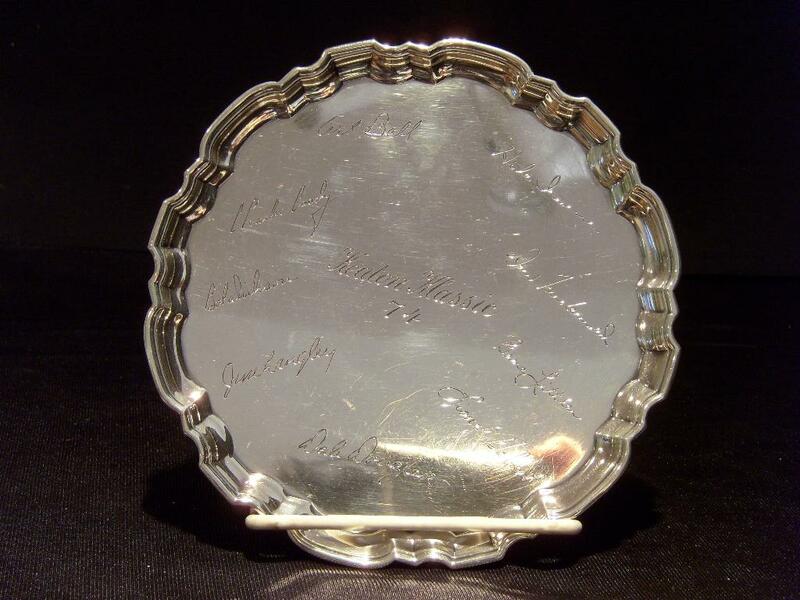 Tiffany Sterling Golf Plate -- This is a sterling plate made by Tiffany which was autographed by the players in the Keaton Golf Klassic in 1974. 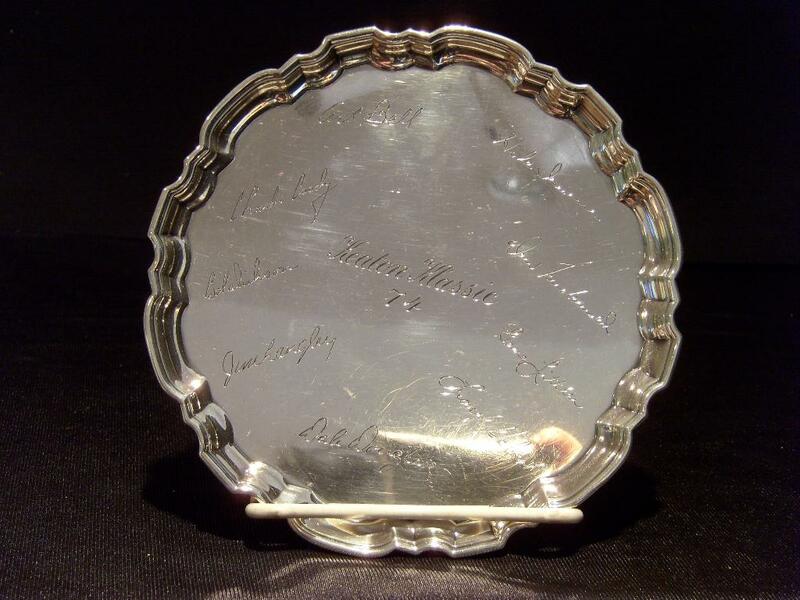 It is signed in the silver by Art Bell, Hale Irwin, Don Fisterwald, Gene Littler, Lionel Hebert, Dale Douglas, Jim Langley, Charles Coody, and Bob (I couldn't read his last name). It is marked on the back Tiffany & Co., Makers, Sterling Silver, 23336. There are scratches to the silver, but the autographs are all readable. 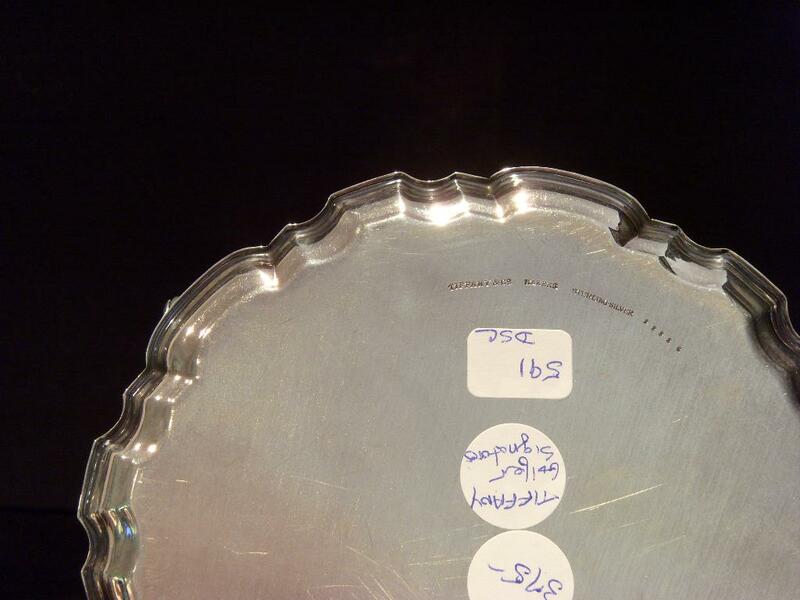 The plate has a diameter of 6".